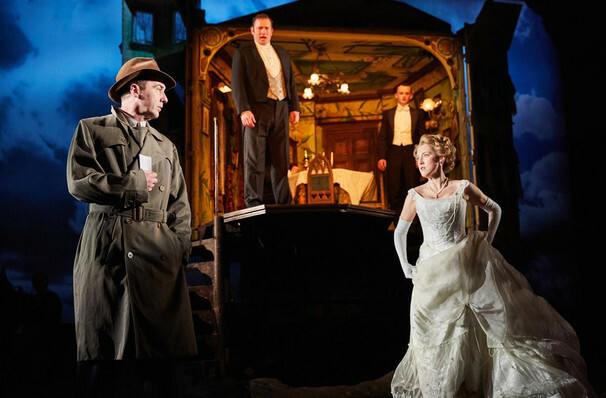 Why See An Inspector Calls? Often referred to as the definitive staging of JB Priestley's drawing room drama, this production from London's National Theatre makes its US Touring premiere - bringing the masterpiece to you. Debuting in 1992, this iteration has been seen all over the world, scooping awards with each revival. Original director Stephen Daldry (The Hours, Billy Elliot) returns for this North American jaunt, showcasing his innate understanding of the literary classic. One night in April 1912, the comfortably upper-middle-class Birling family gather to celebrate the engagement of their daughter, Shelia. Attended by her fiance Gerald, her younger brother Eric, and her parents, Sybil and the boorish, dominating Arthur. The party is soon interrupted by the appearance of the mysterious Inspector Goole, who has come to enquire upon the recent suicide of Miss Eva Smith, a young working-class woman known to the family. In his possession, Goole has a photograph of the young woman and her diary - implying that she has named her tormentors within. Over the course of the evening, each member of the Birling family comes to realize they have all played a part in her downfall, in turn exploiting her, abandoning her, leading her to social and financial ruin before she finally took her own life. Faced with the maddening guilt and unable to accept the responsibility, we see one devastating night in the life of this entitled family, as they all seek to escape blame, believing their wealth and status will protect them from the consequences. Timely as ever, Priestly's blazing critique of social responsibility rings just as true as it did back in 1945, strengthened by our continued fascination with capitalism and our refusal to accept the realities of others. Sound good to you? 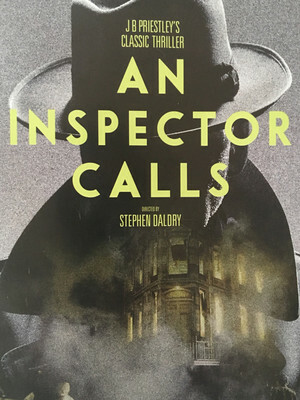 Share this page on social media and let your friends know about An Inspector Calls at Cutler Majestic Theater. Please note: The term Cutler Majestic Theater and/or An Inspector Calls as well as all associated graphics, logos, and/or other trademarks, tradenames or copyrights are the property of the Cutler Majestic Theater and/or An Inspector Calls and are used herein for factual descriptive purposes only. We are in no way associated with or authorized by the Cutler Majestic Theater and/or An Inspector Calls and neither that entity nor any of its affiliates have licensed or endorsed us to sell tickets, goods and or services in conjunction with their events.